The 4 basics and when you want them. 8 varieties of our most ancient tool. This hammer has a wooden handle. 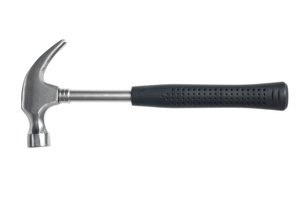 Hand hammers are the most common hammers in use today. 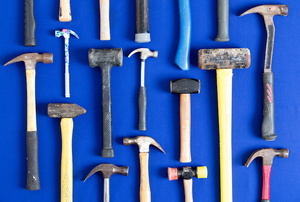 Claw hammers and rip hammers can be found in a variety of sizes and materials. 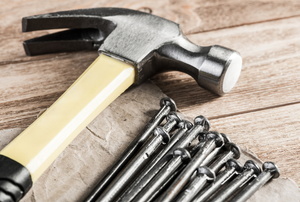 Rotary Hammers versus Hammer Drills: What's the Difference? 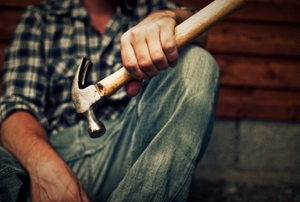 Know when to use a rotary hammer versus a hammer drill. 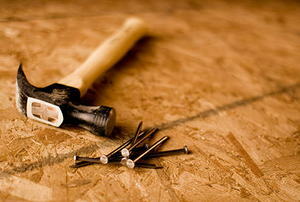 Read this article for advice on using ball peen hammers. 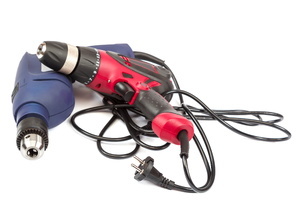 Pneumatic hammers are not fussy machines and require little maintenance to stay in working condition. Hammer tools designed for chipping material away are a useful tool or certain projects and applications. Auto body hammers and dollies are an essential part of any auto tool kit where metal sheet work is required. A rubber mallet can be used for a variety of different jobs. Breaking in a baseball bat is one of them. What is a Wooden Mallet? What is a Ball Peen Hammer? 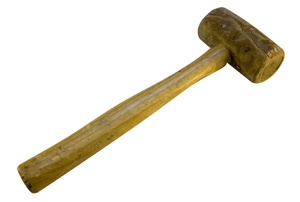 A rubber mallet is a type of hammer that is used to deliver a softer blow than a tradition metal hammer. 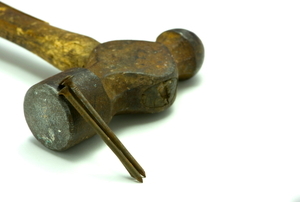 Why use a Rubber Mallet over a Claw Hammer?